Although it’s an often touching, and moving exploration of the trials and tribulations of trying to have a baby (but not in the old-fashioned way), Tamara Jenkins’ latest, only her third feature in twenty years, is refreshingly non-judgmental about its lead characters and their determination to have a child. But Private Life leaves the viewer knowing almost nothing at all about why the couple want a child, and in terms of their back story, we learn that Rachel is a well regarded writer, while Richard was a well regarded theatre director who now owns and runs an artisan pickle company. With the how and the why of where they are now left unexamined, their plight – though well developed and scripted by Jenkins – means their struggle to conceive (or adopt if absolutely necessary) doesn’t have the impact needed to make viewers empathise with them as much as might be expected. The impetus seems to be with Rachel, while Richard seems to be going along with it all to please her or, worse still, keep her happy. It’s this aspect of their relationship that’s more intriguing, but unfortunately, Jenkins doesn’t go that deeply into things, preferring instead to focus on how they’re feeling right now. Inevitably, things don’t always go to plan for them, and the setbacks and attendant emotional pain and suffering that they endure is tellingly handled by Jenkins and her very talented cast. Hahn is perhaps a surprising choice for Rachel, but it’s possibly her best performance yet, with shading to the character that doesn’t appear to have been in the script. Whether angry or sad, or miserable or elated, or just plain confused by how difficult it all is, Hahn’s portrayal is authentic at every turn. 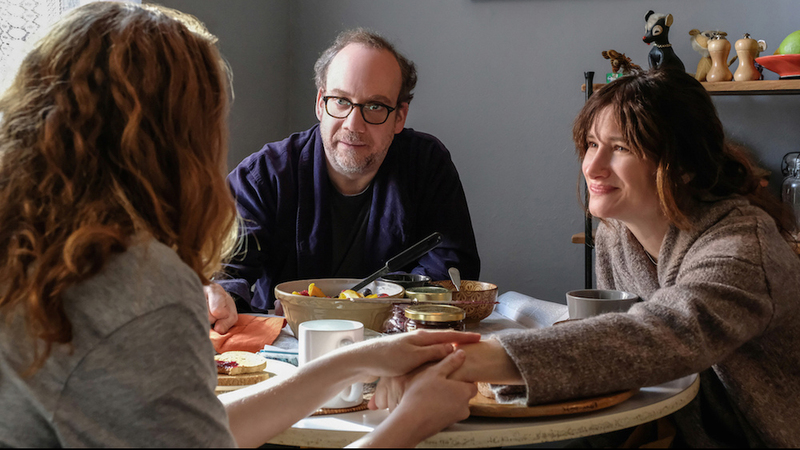 As Richard, Giamatti suffers a little bit through his character’s continual ability to say the wrong thing at the wrong time and seem entirely shallow in comparison to Rachel. It’s still a good performance – Giamatti is one of the few actors working today who seems unable to give a bad performance in anything he does – but Richard isn’t as fully fleshed out as he could, or should, have been. The indignities of IVF and egg donor treatment are given due emphasis, and it all hinges on Sadie’s suitability as a donor, which is treated correctly as something beyond Richard and Rachel’s control. Overall, the movie is sympathetic to its desperate parents-to-be, though it does come close to being yet another teary-eyed tale of middle-class aspirations gone awry, something that would have derailed it from the start. 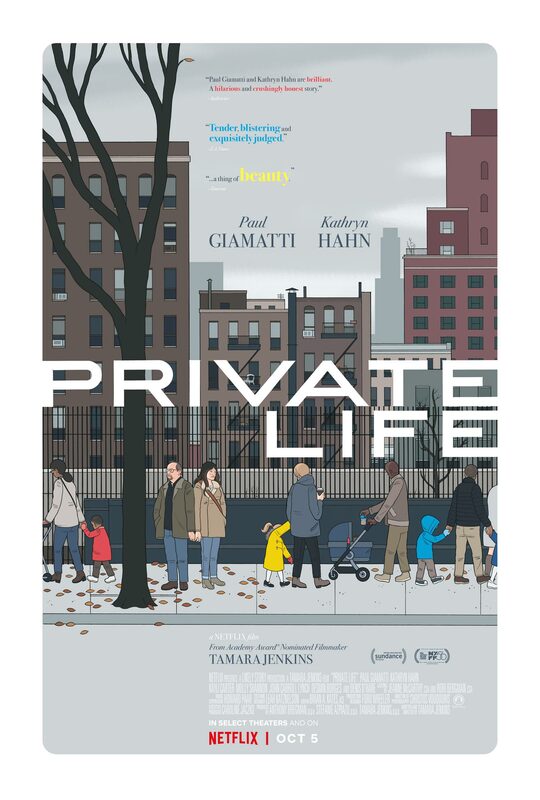 Rating: 7/10 – an observant and measured mix of emotional drama and physical comedy, Private Life still allows its characters hope in amongst all the setbacks they endure; thanks to Jenkins’ (mostly) incisive script, its cast being en point throughout, and a determination not to be melodramatic in any way, this is a compassionate and often witty study of infertility anxiety.